What are DeviceID Reset Marathons? DeviceID Reset Marathons are a class of click, install and engagement fraud where DeviceID Reset Fraud is perpetrated at scale. Real Users: Users reset their DeviceIDs regularly to repeatedly to access in-app promotions and upgrades. Device Farms: Criminals hide massive device farms by continuously or regularly resetting their DeviceIDs, as explained below. 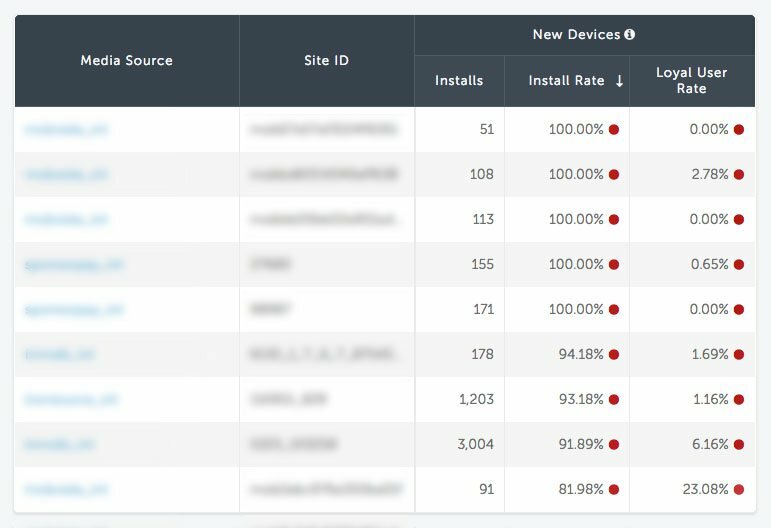 By clicking on real ads, installing the actual apps, and engaging with the apps, in massive, scaled device-farms, fraudsters generate seemingly legitimate activity. During a DeviceID Reset Marathon, fraudsters reset their DeviceIDs between each install at incredible scale, generating a tremendous amount of traffic from New DeviceIDs while bypassing real-time anti-fraud protection measures.